But the other difference between Tolkien and Martin’s worlds can best be understood as a presence, and an absence, of the power of divine grace interacting with free will. In Middle Earth, most of the characters find the strength needed to triumph over evil, and even when they stumble and fall – as Frodo did many times when carrying the Ring, or Boromir did when trying to wrest the Ring away from him – there is still the ever-present, and very plausible chance of redemption through the sometimes small movements of the heart and the providential unfolding of events. It is the submission to a higher good, and the power of true love held in friendship, that ultimately saves the day. Even Gollum, corrupted by the Ring beyond recall, still has a vital part to play in saving the world because of mercy shown to him by Bilbo and later Frodo, even though he was undeserving of it. Indeed, I used to think some of the reactions to The Hunger Games were a bit unnerving, with people seemingly just a bit too eager-beaver about the arena scenes. But by and large, that franchise managed to address the darkest issues with commendable taste and nuanced analysis, keeping faith with an underlying regard for human dignity and concluding the series with a deeply life-affirming message. 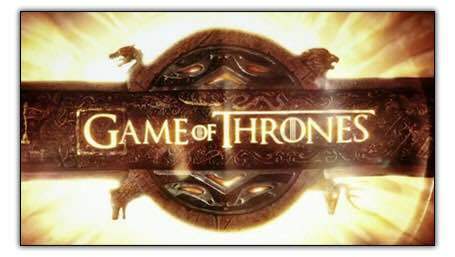 As for Game of Thrones, the viewers are actually starting to take pleasure in pain, even if it was fictional, as the characters die hideously gruesome deaths on screen. One online commenter wrote that observing one of the characters suffocate was “music to my ears.” Needless to say, this is disturbing, because the safety zone of fiction can easily cross over into real life reactions, as the characters are still human beings. But there is a pervading sense that we should somehow be proud of those taking revenge and relish it’s sweetness with them. It is seen as being somehow strong and even noble. But this is not the way of Christianity, and indeed the story is not set in a Christian world. In fact, Westeros could be seen as an alternate vision of medieval Europe had it never converted to Christianity or adopted the moderating code of chivalry. But should there still not be some moral law? And is our culture so eager to rally behind “heroes” who are not heroes at all, and are we still failing to see vengeance for the weak and cowardly thing that it really is? True heroism is forgiving the unforgivable. It is loving those who hate you and praying for those that persecute you and never, ever becoming that which you are fighting against. Perhaps instead of pop-culture anti-heroes, it is time to turn to the lives of saints. For Christians, we must always seek to transform ourselves through the Grace of Christ and become more fully Human, made in the Image of God. Time to raise the bar.